Trekker Camp's team would like to welome all the trekkers to stay with us. Trekker camp is located in the new center of town in quiet compound. Only 10 minutes walk to the Night Market. We are provided the cozy twin rooms and dormitory rooms which is safe, clean and comfortable beds. The room with ceiling Fan, hot/cold shower, private bathroom. 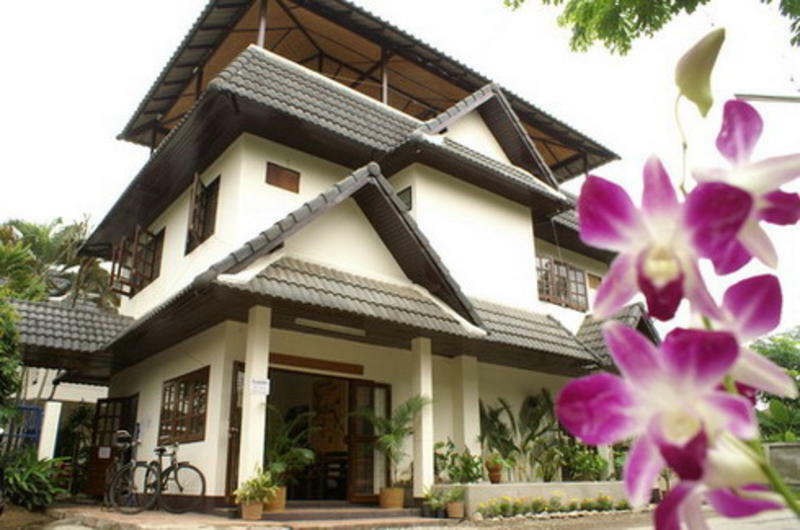 We also have a garden Restaurant and Roof top Restaurant which served your delicious Western and Thai food. Living room, Meeting room and Library. Free Internet and Bicycle free use for our guest. We are the specialize for trekking and sightseeing around the North of Thailand. Our team is over 20 years experience and also work under the TAT office, our license is 22-0242. You can get all free information of the different trekking area in the North ( Chiang Mai, Chiang Rai, Mae Hong Sorn ) also with the motorbike trek and all adventure excursion. We are on the end of Chang Klan Road ( Road of night market ), close to The Park Hotel, Chiang Mai Sofitel and International Chiang Mai Youth Hostel. We are colse to Night Market ( 10 minutes walk ), Airport ( 10 Minutes Drive ), Bus station ( 20 minutes ), Train station ( 15 minutes ) You can ask the Tuk Tuk Driver or the Song Teaw ( local transport ) for Trekker Camp.